Kurt Vonnegut has inspired many of his readers for years and being such a fan of this quirky humanist, he's inspired us to release this small tribute to his work. We have four beautiful Kurt Vonnegut t-sihrts available below that we are sure fans will love. 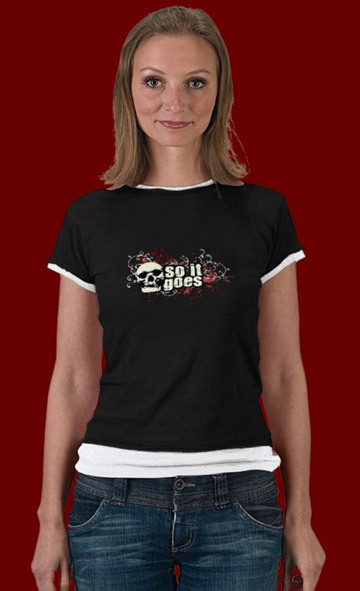 Our Kurt Vonnegut art tees are available on a large assortment of shirt styles, colors and sizes for men and women. 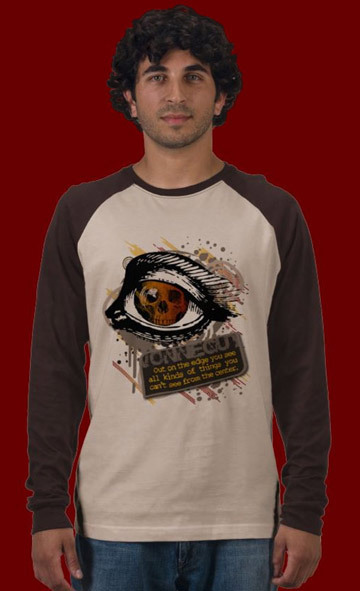 Kurt Vonnegut inspired t-shirt design features smoldering colors and beautiful Esheresque qualities that make it stand out from the norm. In his novel "Slaughterhouse Five" Kurt Vonnegut describes his real-life experience as a POW during the bombing of Dresden, Germany during WWII. 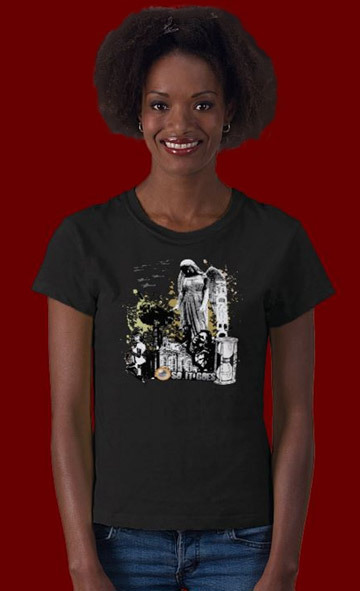 It was these detailed passages that inspired this important art shirt design. In Kurt Vonnegut's most read book, "Slaughterhouse Five" an alien race is introduced. The Tralfamadorians saw death as simply a state of being, that the dead is just as alive as ever in other times and so their response to death was always, "So It Goes". 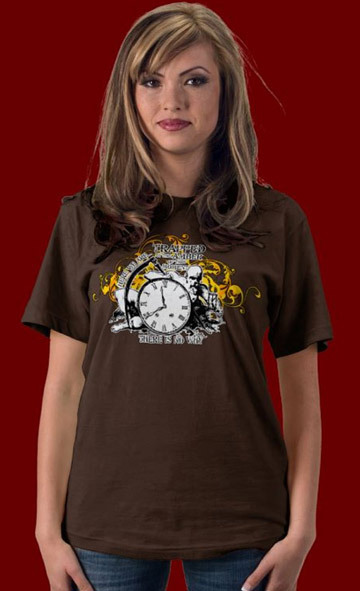 This design features a elderly father time presented in a beautiful vintage styled illustration with warm amber and gold swirls and swooshes behind. The words are printed "Here we are, trapped in the amber of the moment. There is no why." in a cool distressed, grungy font treatment and hit the message home.